Product #60703 | SKU OR-155 | 0.0 (no ratings yet) Thanks for your rating! The Orca OR-155 Audio Mounting System is designed for mounting mobile devices and audio monitors on any ORCA sound bag or special frame. 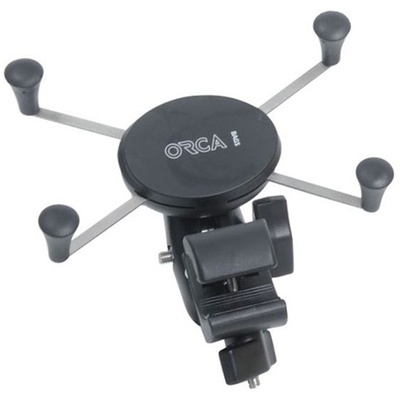 Mount mobile phones and up to 17.7cm monitors with the attached spring arms, and connect the base to the lower part of an ORCA sound bag or ORCART sound cart.